Picking the Masters Champion is a very difficult task. The field is at the 2016 Masters is world-class and the smallest since 2002. 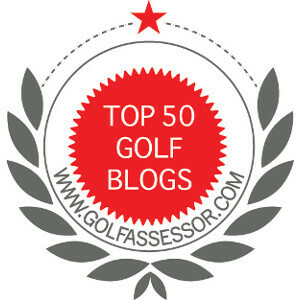 With just 89 players, the top ranked players seem to have a lock on winning the ‘green jacket’. However, given the dramatic finish at the Shell Houston Open last week, it is very difficult to discount more than half the field! The Days of Dominant Golf Are Over! The words of Bobby Jones ring true even today. The streak style of golf these days is a testament to legendary players like Sam Snead, Jack Nicklaus, Tiger Woods, Ben Hogan and Arnold Palmer who dominate the game for decades. Rivalries were the backbone of professional golf. It appears the days of pure dominance is over! Adam Scott is the hottest golfer on the planet at this moment. Back-to-back wins has placed his name at the top of most lists as a favorite for The Masters in April. His solid play is the focus of the golfing world and who can dispute is seven-place rise in the world rankings in just two weeks. I can hardly wait to hear how the media changes its tune on how his putting is a solid part of his game and that he should have changed years ago; any comments on my part would not be helpful! Adam Scott is playing fantastic golf. He appears unflappable as he navigates the tough holes during the last two weeks. His recovery shots and focused determination are what champions are made of and as such, we saw his name on the top of the leaderboard at the Honda Classic and The WGC – Cadillac Championship. Unfortunately, Scott might be peaking a bit early to be considered a favorite at The Masters! The Open Championship – Who Is Your Pick? I wrote this on PunditArena.com and thought I would share my thoughts on who is going to win The Open Championship! What do you think? After many weeks of waiting, The Open Championship is finally here. 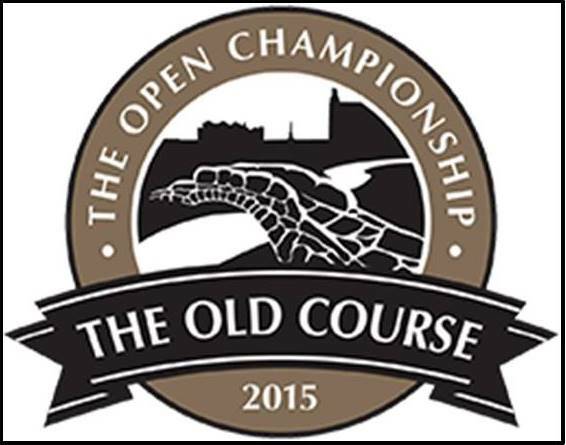 The golfing world is ready to see the top players tee it up on the famous and historic Old Course at St. Andrews. Steeped in tradition, it is second behind The Masters as the Major to win. We never tire from watching professional golfers slay or get slain in the Scottish countryside year in and year out. I do not follow the odds makers when picking the winner of any Major championships because I believe there are too many variables to consider. So here is my slant on the upcoming Open Championship. The obvious choice is Jordan Spieth. He is the best golfer in the world right now and is head and shoulders above the field. However, not playing in the Scottish Open will hurt him. He will be coming off a strong finish at the John Deere Classic, but playing a links-style course like St. Andrews needs some preparation. Additionally, his travel to Scotland from Illinois, USA will take its toll on him physically and mentally. For this reason, I predict Spieth will finish fifth. Finishing fourth, Rickie Fowler. Winning the Scottish Open in dramatic fashion will boost his confidence and should carry over to The Open Championship. Fowler is a streaky player and if his nerves hold this week, good things will happen. Finishing third, Phil Mickelson. Mickelson is a tough competitor. His play of late is improving, however his play at St. Andrews is always good. His short game is still as sharp as ever and he will need every part of it to play well in the upcoming week. If Mickelson gets hot on the putting surface, he may even contend for the Claret Jug. Finishing second, Adam Scott. Everyone forgets about Scott. He has quietly gone about his business and always seems to be in the thick of things on Sunday during the Majors. He has the total game to win at The Old Course as long as his putting stays strong, which is his Achilles heel. However, this weekend he will be in the last group vying for another Major Championship on Sunday afternoon. Finishing first, Dustin Johnson. Since coming back after a leave of absence from professional golf, Johnson is the second best player in the world. He accurately hits the ball a country mile and has a very strong short game. Yes, everyone points at his 3-putt at The US Open on the last hole, but I can overlook that mental error. Taking the week off will aid Johnson to start strong and keep the pressure on the field for the entire 4 days. As always, I select a dark horse. A player who has an outside chance to win, but the odds are not in their favour. For The Open Championship this year, Graeme McDowell is my dark horse. I selected him to be the outright winner last October, but I am less confident now. He has the game to win and understands the “Links Mentality”. For McDowell to have an opportunity to win, but he will have to play better than he has lately. There you have it. The Open Championship is upon us and the golfing world is ready to for the action. I have selected Dustin Johnson as The Open Champion and to raise the Claret Jug above his head on Sunday. It is fitting that this prestigious Major will be his first of many.